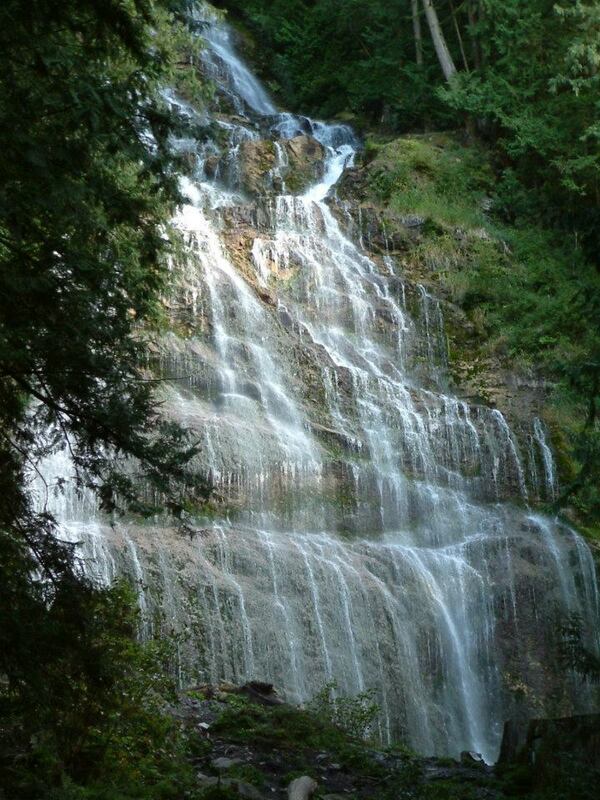 This is Bridal Veil Falls east of Chilliwack in British Columbia. The name comes from the way the water cascades down the rock like a veil. I took this photo in 2010 when I went to B.C. for the first time. I had never seen a place such as this, with lush forests and thick green moss covering every surface. All sound was muffled and we found ourselves talking in hushed whispers as though we were in a church. This is the second of seven posts in response to becomingduetsch 7-Day Nature Photo Challenge Series. The rule for 7-Day Nature Photo Challenge is simple. Just post your favorite nature photo and nominate another blogger every day, for 7 days. I nominate wwellend.wordpress.com who’s recent experiences in Iceland have made me want to go and see the land for myself. 1 response to "Nature Challenge: Day 2"